Why are conservatives so concerned that the Labour Party is moving in a more socialist direction? On last night’s Question Time, journalist Julia Hartley-Brewer – a journalist with whom this blog often agrees – held forth on the state of the Labour Party, and calls by some activists for the implementation of mandatory re-selection of MPs prior to a general election in order to make the Parliamentary Labour Party more representative of the membership. Journalist Julia Hartley-Brewer said Britons would “never elect a Socialist Government” on Thursday’s edition of the programme, as Corbyn is expected to be re-elected Labour leader easily on Saturday. She was speaking after Blairite Labour MP Liz Kendall was the target of an audience member who advocated the mandatory re-selection of MPs before they could defend their seats in a General Election, something Corbyn supporters could use to remove those critical of the Labour Party leader. “What a depressing conversation, genuinely,” Hartley-Brewer said. “I’m a great believer in democracy. The thing about democracy is you have a Government but you also have Her Majesty’s Opposition. This, of course, is a common refrain from conservative types either hoping to have some fun at Labour’s expense or express genuine concern about what they see as an unbalancing of Britain’s political system. Personally, I don’t understand why so many prominent movement Conservatives – people who would never vote Labour in a million years – are so upset that the Labour Party is once again expressing genuine socialist tendencies, and desperate for it to tack back to the centre and become an electoral threat to the Tories again. Even after the EU referendum have these people learned nothing about the dangers of a stultifying cross-party consensus in the middle of British politics which shuts out whole swathes of people who dare to hold staunchly conservative or socialist (or individualist/authoritarian) beliefs? Hartley Brewer then defended [Liz] Kendall, calling her a “very good, very sensible hard-working MP” who “talks about the real issues affecting real people”. She bemoaned the fate of Labour MPs who face either “deselection for speaking sense” or losing their seats at an election. I can’t help but feel that Julia Hartley-Brewer is failing to consider the upside of mandatory reselection for conservatives. Finally, real small government conservatives would have a mechanism to get rid of statist, pro-European Tory-lite interlopers like the pointless Anna Soubry, and those numerous other MPs who pretended to be staunchly eurosceptic during their initial constituency selection procedures only to come running to the Remain campaign like loyal dogs the moment that David Cameron snapped his fingers. Don’t Conservative Party members deserve a parliamentary party – and a government – which more closely reflects their interests and priorities, too? And what better way to do this than through mandatory reselection? Yet many people with whom this blog usually finds common cause seem to see this issue differently. They seem aghast at the idea that a party founded on socialist ideals should actually dare to be socialist, which is puzzling to me. Julia Hartley-Brewer will probably never vote Labour for the remainder of her lifetime – so why the concern that Labour avoid becoming a “Marxist book club”? At a time when the Conservative Party is so soul-sappingly centrist in outlook, would she really rather have a battle-ready, equally centrist Labour Party nipping at its heels? It is as though it is no longer enough for the party we personally support to reflect our own views and priorities – we now expect opposing parties to reflect them too. This is a politically stultifying and increasingly ludicrous state of affairs. As a small-c conservative I believe strongly in maintaining our nuclear deterrent, a strong military, the NATO alliance, low taxes and small government. But I don’t for a moment expect the leader of the Labour Party to hold these exact positions, too. And while it would be calamitous were Jeremy Corbyn to become prime minister by some dark miracle and actually enact all of his policies, I trust in the wisdom of the British people to see through his policies and reject Corbynism at the ballot box. 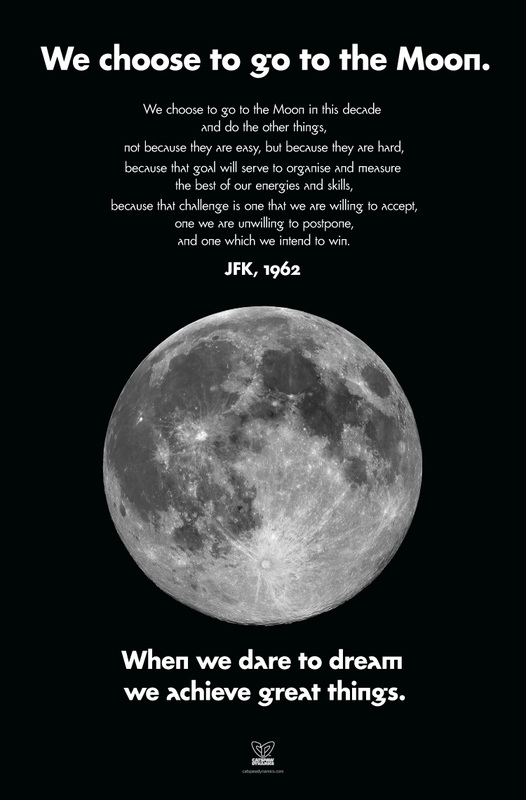 And that’s the difference, I suppose, between this blog and the political and media establishment. I trust the people to look at the political parties and refuse to vote for a party campaigning on a manifesto which is so clearly damaging to our economy and national interests. 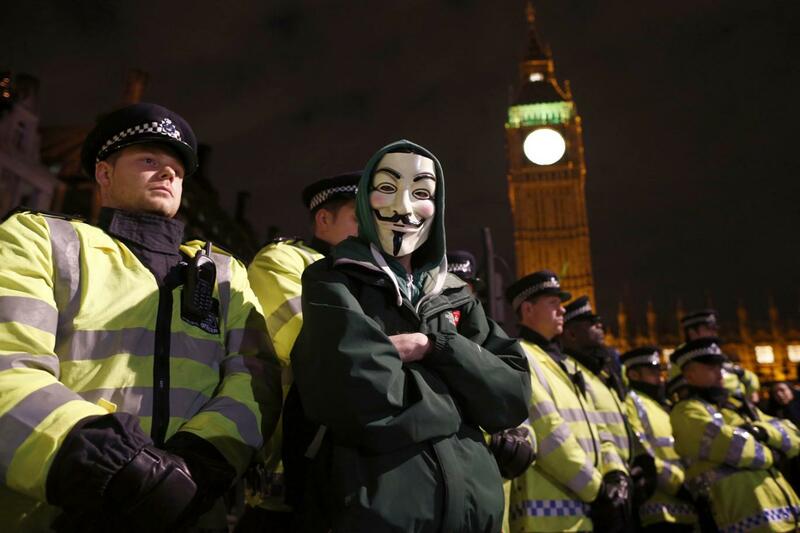 The establishment do not trust the people, because they do not respect the people. 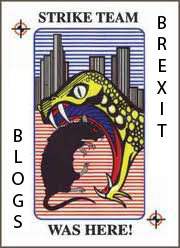 They have no faith that the British people will make rational decisions when presented with a range of political alternatives – therefore they see it as their job to artificially limit our choice beforehand, taking certain options off the table by declaring them “unacceptable” and suppressing their very discussion by mainstream politicians. Besides, who should be the judge of whether an MP is “sensible” and “hardworking”? Come general election time, surely the best people to pass judgment are those from the local constituency party, who know best whether their MP is adequately representing their values. If they are dissatisfied with their candidate, why should their views be steamrollered by a cliquish Westminster conspiracy to protect the centrist Good Old Boys (and Girls)? If Labour’s centrist MPs really do speak such “sense”, they will surely have no difficulty in winning the support of thousands of non-aligned voters who do not subscribe to the Jeremy Corbyn agenda. If they are so wise and pragmatic, surely they could not fail to succeed by striking out on their own and forming a new centrist party? And yet the centrists are going nowhere, because they have no compelling vision of their own to offer the electorate, and many of them would struggle to even win back their deposits if they ran as independent candidates or under the banner of a new centrist party. Therefore their only hope, in the short term, is to cling on to their seats despite often being loathed by their own local parties, in the hope that one of them will come up with an alternative policy agenda which actually commands enthusiasm and respect. And frankly, few Labour centrist MPs have done anything to deserve such an unfair helping hand. The cold, hard truth is that the Labour Party has shifted decisively to the Left. Julia Hartley-Brewer’s attitude seems to be “to hell with the party members who actually do all of the hard work and unglamorous campaigning – they should be lumbered with a centrist leader they despise, just so that British politics can continue to be fought over a vanishingly small sliver of real estate in the centre ground”. Personally, I find that idea repellent. In a democracy, decisions are made and influence is wielded by the people who actually bother to show up. And right now, the Corbynite Left are showing up and making their voices heard, while the various centrists (despite their prestige) are able to conjure up all the excitement of a cold bucket of sick. The left-wing have earned the right to be heard, while the centrists have demonstrably not. Hearing what the Corbynites have to say and abiding by their wishes is therefore not only the fair thing for the Labour Party to do, it is the only remotely democratic thing for the Labour Party to do. And the proper reaction from conservatives is not to brim over with sympathy for the poor Labour centrist MPs who have so grievously lost touch with their own party base – it is to demand a similar rebirth of radicalism on the Right. Julia Hartley-Brewer is aghast at the idea of mandatory reselection for Labour MPs, but I say bring it on. Let the Tories have their own version of Momentum too, something to put a rocket up the government’s complacent and depressingly un-ideological posterior – and then give Conservative Party members the same opportunity to shape the future of their party, hopefully by dragging it away from the smoking ruins of Cameron-era centrism. 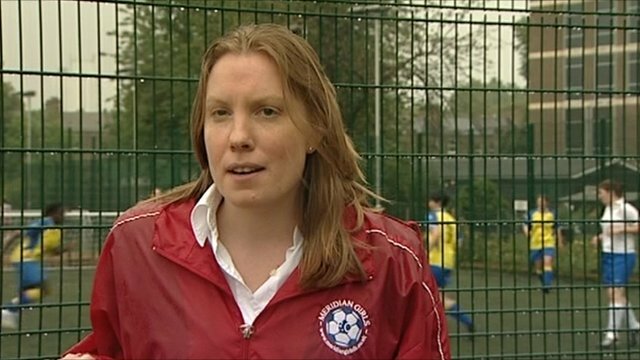 Had Conservative Sports Minister Tracey Crouch known about the outrage that would be whipped up by her interview in The Spectator before she gave it, she would quite possibly have chosen to go without the glowing portrait by Isabel Hardman in order to avoid the deluge of left-wing bile which immediately followed. Unfortunately for Crouch, there is no telling which harmless phrase or action will send the modern British Left into a full-on social media jihad, and so she has had to spend the better part of today apologising for offending the Poor and Vulnerable. There’s no reasonable way that you can read Tracey Crouch’s words and come away thinking that here is some callous, unfeeling elitist who thinks that people are poor through their own fault. There just isn’t. 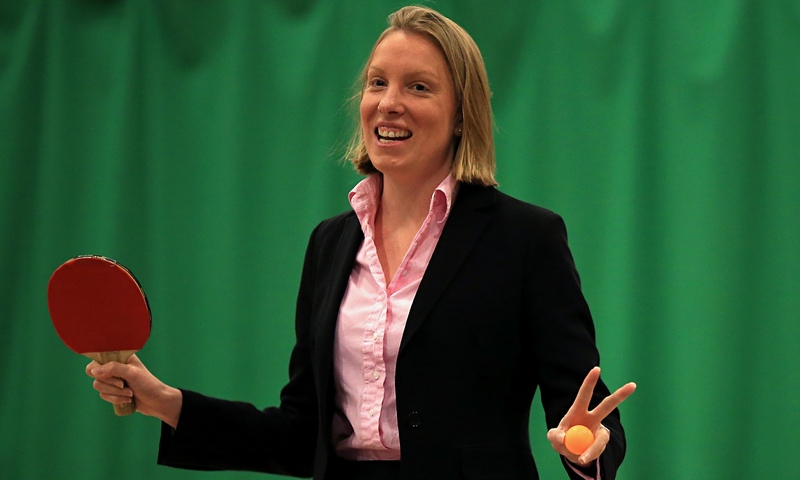 Tracey Crouch is hardly some monacle-squinting, golden pocketwatch-twirling Monopoly man, looking down on the working poor from a lofty aristocratic perch and finding them wanting. Shadow Treasury minister Rebecca Long-Bailey said: ‘Another day and yet more evidence of out of touch Tory MPs insulting working people in low pay in what has been a further torturous week for George Osborne on tax credits. I re-emphasize: Tracey Crouch was talking specifically about poor budgeting decisions made by certain individual constituents, emphasising multiple times that she was not generalising from the examples that she gave. And yet still we are treated to this hand-wringing mock horror from the Left, as though the Sports Minister had called for all tax credit recipients to be sent to the workhouse. When the entitlement culture runs so deep that a government minister who grew up relatively poor cannot give true personal testimony about the importance of budgeting, or cite real-life examples of those struggling on low incomes who had not considered every option for reducing their outgoings, what hope can there possibly be for meaningful welfare reform? What chance can there ever be of lifting people out of the benefit trap, into entry level employment and then onward and upward in self-sustaining careers when as honest and humble an MP as Tracey Crouch cannot even make a factual statement about her constituent cases without being vilified by left-wing activists? Unfortunately, the reality of modern Britain is that too many people work hard in very low-paying jobs which are only financially viable when topped up by government tax credits. Gordon Brown can splutter and roar all he likes about the supposed virtues of his benefits brainchild, but the cold hard reality is that tax credits promote a form of welfare dependency. Yes, it’s more noble form of dependency because the recipient is working – often very hard – for their low wages. But dependency means coming to rely on something day-to-day in order to maintain a certain standard of living. People rage against the Evil Tories for daring to consider tax credit changes in their effort to restore fiscal sanity to Britain, but have no words of condemnation for the moralising New Labour government who made millions more people dependent on welfare in the first place. When I grew up poor in Essex, we didn’t have a Sky TV subscription. We didn’t even have a colour television until I reached secondary school in the 1990s – I watched Neighbours and Newsround in black and white. These things were not the essentials of life, much as I would have loved them, and so we went without. Fast forward to 2015 and a Netflix subscription is no more necessary now than an expensive Sky subscription was in the early nineties. So why, exactly, was Tracey Crouch wrong to call attention to cases where those on low incomes had not considered cutting down on unnecessary expenditure? In reality, the only people who are out of touch with how ordinary people live are Labour MPs like Rebecca Long-Bailey, who appear to think that Sky TV is some kind of inalienable human right to be funded out of taxpayers’ hard-earned cash. Everyone has to make choices about what they can and can’t afford to spend their money on. Tracey Crouch was simply pointing out what every ordinary family in Britain knows: you have to cut your cloth according to your means. But you can’t say that any more, according to the Left. To acknowledge the basic economic truth that poor people cannot purchase unlimited luxury goods is grossly offensive – not to the millions of low paid people who already strive to live within their means, but rather to those who do not, and the Labour politicians who cheer for their “right” to never have to collide with fiscal reality. The government’s approach to tax credits is flawed, and considering other areas of continued state profligacy (universal pensioner benefits, for example) there is no great reason why tax credit recipients must swallow such a harsh dose of George Osborne’s fiscal medicine upfront while others slip by unchallenged. And Labour might have a realistic chance at forcing an important, beneficial concession from the Chancellor on this topic, if only they could stop the bickering and infighting long enough to organise themselves. But when Labour MPs charge mindlessly into battle against the Conservatives (especially a self made Tory Minister like Tracey Crouch) in defence of the Universal Human Right to subscription TV, of all stupid things, they make no serious point, they win no new allies, and they help precisely no one. But then that’s the Labour Party and the modern British Left in a nutshell. Noisily hating the Tories and whining about fairness but not doing, saying, thinking or proposing a damn thing to hold the current government to account or make anyone’s lives permanently better.